The McDonald's comeback just might be legit. The burger chain just announced a key milestone: U.S. sales are growing for the first time since 2013. Americans devoured McDonald's (MCD) new premium buttermilk crispy chicken deluxe sandwich and its breakfast menu, especially the revamped Egg McMuffin. Most impressively, McDonald's returned to domestic growth during the third quarter without any help from all-day breakfast, which didn't launch until early October. After years of losing customers to trendy rivals like Chipotle (CMG) and Shake Shack (SHAK), McDonald's is trying to reinvent itself. In addition to all-day breakfast, McDonald's CEO Steve Easterbrook has sought to improve food quality with a number of changes, including cutting back on chicken raised on antibiotics and promising cage-free birds within a decade. "While still in the early stages, we believe our turnaround plan is starting to generate the change needed to reposition McDonald's as a modern, progressive burger company," Easterbrook said in a statement. Wall Street seems to believe these changes are actually working. Shares of McDonald's popped 6% to a new all-time high on Thursday. Morningstar analyst R.J. Hottovy said he was most impressed by the return to U.S. growth. It wasn't something that he anticipated until next year. "It suggest that the company's key initiatives...are paying off," Hottovy said. And it's not just in the U.S. Sales grew around the world, leading to a 4% global jump. That's twice as much as what analysts had been hoping for. China helped power the global growth, with McDonald's reporting "very strong" sales there. Part of that growth was helped by an emphasis on breakfast as well as softness last year caused by a food scandal in China. While McDonald's is growing U.S. sales, profits slipped 1% last quarter. The company blamed recent wage hikes and benefit improvements, echoing comments made by Wal-Mart (WMT) about higher labor costs denting profits. It's clear McDonald's still has much work to do, with the company saying it will turn its attention to boosting customer traffic. McDonald's continues to face stiff competition from rivals like Chipotle that have a much stronger brand image in the minds of customers. 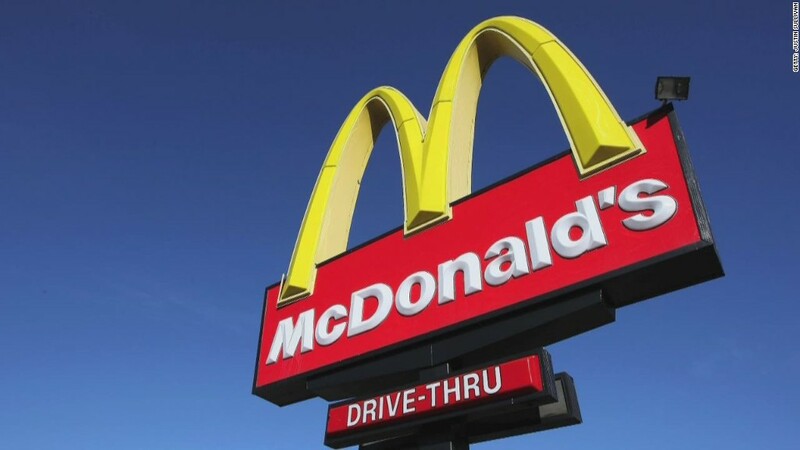 "McDonald's is now a company headed in the right direction, albeit one with much more work to do to reconnect with customers," Neil Saunders, CEO of retail research firm Conlumino, wrote in a note. He specifically pointed to the need to "refresh" many locations in the U.S. that "look tired and are fairly unappealing places in which to linger."